June 11, 2015  If you've got a life-threatening medical condition, your first call might not be to an economist. 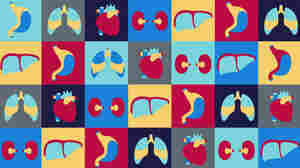 But Alvin Roth used a theory about matching markets to help connect kidney patients and donors. Can Kidney Transplants Ease Strain On Gaza's Health System? 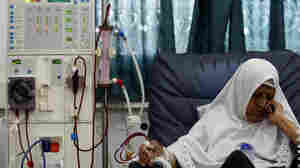 March 12, 2013  Years of war have overtaxed Gaza's hospitals, making it tough for kidney patients to get good treatment. Thanks to help from British doctors, Gaza surgeons are now being trained to perform kidney transplants. They hope to help ease the huge demand for dialysis, but transplants have their own cost. March 28, 2012  A new method of obtaining organs for transplantation has some in the medical community questioning whether donors are technically "dead." The controversy centers around how one defines "dead" — something that turns out to be pretty complicated.